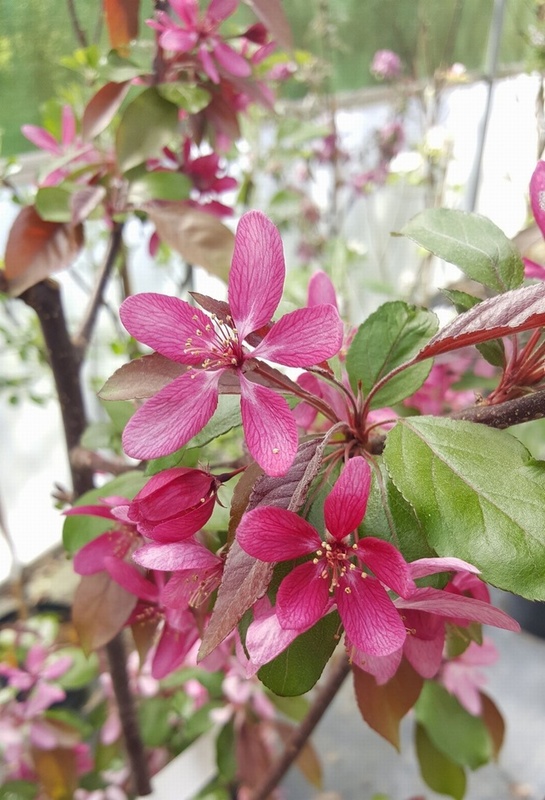 Profusion - Crab Apple £12.75 - Pollinator Apples - Crabapple Apple Trees and Fruit Trees For Sale. Buy at competitive prices with wholesale discounts. This attractive tree has a long season of interest- with bright copper-red spring foliage, and a huge quantity of crimson flowers that smother the tree. In autumn it boasts yellow-bronze leaves and clusters of tiny maroon fruit, which can hang on the branches for several months, providing a valuable source of food for wildlife. It is self-fertile, with a long flowering period, so is an excellent pollination partner for both apple and cider-apple varieties flowering at the same time.